Jason Steele is a young goalkeeper on the books of Middlesbrough. Jason has a wealth of England experience, representing his country at U16, U17, U19 and U20 levels. 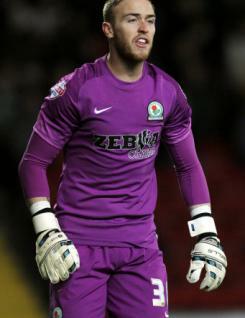 Jason made his breakthrough to the first team following the departure of Brad Jones to Liverpool in August 2010. A superb display on his debut in the 2-1 win over Chesterfield in the Carling Cup in August saw then-manager Gordon Strachan place his faith in the young goalkeeper as he took over the jersey. Jason went on to make a huge impact establishing himself in the line-up, although he missed a number of games in the latter part of the season due to injury before returning to the fold for the final two fixtures.